MaineGeneral Health is a non-profit organization, which is located at Augusta, Maine. It offers treatment services to patients who are suffering from alcohol and substance use disorders. This facility was founded as a chemical dependency department in Augusta in the year 1891. MaineGeneral Health operates two units in Maine, one in Augusta and the other one in Waterville. The Alfond Center for Health in Augusta provides outpatient and inpatient care. The other unit in Waterville, Thayer Center for Health provides comprehensive outpatient care with an emergency department. MaineGeneral Health provides detox services, residential treatment, and intensive outpatient treatment to alcohol and drug addicts. The treatment at this facility is based on 12 steps and evidence-based practices. The mission of MaineGeneral Health is to enhance the health of their patients, families, and communities every day. The facility aspires to become the leading regional health care system in Maine. It wants to be recognized for its services, excellence, high value, and impact on the community health. MaineGeneral Health offers residential facilities for both men and women. Its residential units are gender specific. 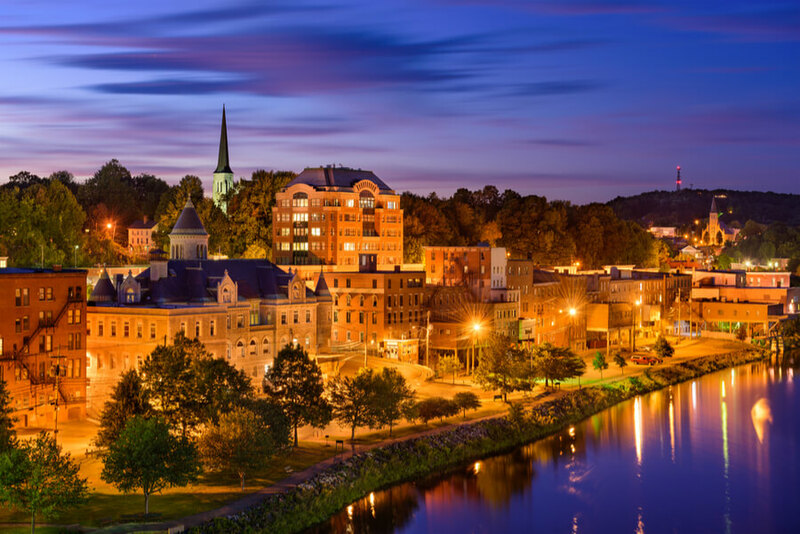 The women’s and men’s residential facilities are situated in the Kennebec Valley area of Maine. The length of the stay lasts up to nine months in an evidence-based and clinically-focused environment. The women residential unit comprises eight beds while the men one has twelve beds. Each room is shared by two residents. All rooms are equipped with basic furnishings including closet space and dresser. In living rooms at each facility, clients can watch TV, read books, socialize, or relax in their leisure time. When it comes to food, residents have to cook their meals. Two residents a week prepare meals for all. All clients have to prepare their own breakfast, which includes things like fruits, cereals, etc. Dinner and lunch comprise full hot meals. The house manager decides the food menu that could be anything from meatballs and spaghetti to chicken and burgers. Accommodations can be arranged wherever needed. The inpatient and outpatient services at this treatment facility offer a great start to people who are chemically dependent for a successful recovery. This facility offers an extended care program to patients who are in need of long-term treatment in a therapeutic recovery-based environment. The best part about MaineGeneral Health is that it offers free services to people who want to recover but could not afford the treatment. This facility even provides scholarships to individuals who are without insurance. There are discounts such as “Prompt Payment Discount” and “Self-Pay Discount” available for self-pay people who are with or without insurance. Hannalie V. serves the MaineGeneral Health team as Occupational Therapist. She is serving the field of addiction as an occupational therapist from the past 27 years. Before joining MaineGeneral Health, she worked in various hospitals, skilled nursing facilities, and schools. Hannalie began her career as a therapist in South Africa. Krystal W. joined the team of MaineGeneral Health in 2007 as a nurse manager. She has worked for several years as a nurse before that. Krystal uses her passion for nursing as a tool to provide comprehensive care to people who need it the most. Through her skills, she wants to make a difference in someone’s life. Kelly R. has been working with MaineGeneral Health since 2004. She serves the MaineGeneral Health team as Manager of Operations. She holds a degree in Social Work. Before joining this healthcare, she used to work as a physician. As the manager, Kelly manages the staff at this facility to make their work easier while providing extensive care to patients.